Coconut Grove is one of the most popular destinations for Uber and Lyft consumers. 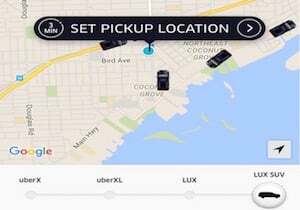 It makes sense to Coconut Grove Uber accident lawyers. People using Uber in Coconut Grove avoid the constant struggle to find descent and safe parking. Using Uber or Lyft is also a sign of responsibility when it comes to alcohol. If one chooses to enjoy an adult beverage, then there is no excusable option. If there is no trustworthy designated driver, then the best option is probably Uber or Lyft. Our Uber car accident attorneys fully endorse people who make responsible decisions when it comes to drinking but not driving. Accordingly to most estimates, there are more than 12,000 Uber and Lyft licensed drivers in Miami-Dade County alone. Drivers are in the business of making money and time is money. Therefore, it is not unusual to see Uber drivers zipping in and out of traffic while trying to maximize their time on the road. As a result, accidents will happen and that is when it becomes necessary to consult with a Miami car accident lawyer who handles Coconut Grove Uber accident and injury cases. At the Wolfson Law Firm, our Miami Uber Accident attorneys help people injured in Coconut Grove Lyft and Uber accidents. Our lawyers currently represent a number of Uber drivers and passengers in Miami. In fact, a member of our personal injury legal team is a former driver for Uber and Lyft. His experiences have proved valuable in helping our Miami Uber accident and injury lawyers to provide effective representation of our Uber injury victims. Our Miami personal injury attorneys are proud to serve the good folks of Coconut Grove and all over South Florida in their Uber accident cases. We approach each cases aggressively and efficiently. We know that our clients want the fair compensation that they deserve within a reasonable period of time. Our Miami Uber accident attorneys understand the “ripple” effect that a car accident can have on you and your family and we always keep that in mind throughout our representation of you and your family. 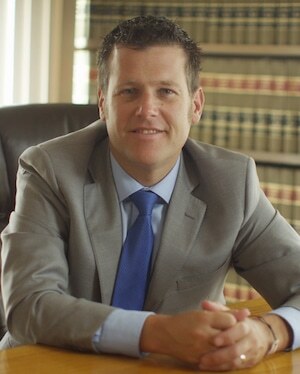 Our Managing Attorney Jonah Wolfson is a bilingual Uber injury attorney and wrongful death lawyer in Miami. Jonah and his personal injury team are ready to work for you. The Wolfson Law Firm is located mere minutes from Coconut Grove at 3399 SW 3d Avenue, Miami, FL 33145. Call us 24/7 at (305) 285-1115 to get the answers you deserve after your Coconut Grove Uber car accident.